ABC/Randy HolmesThe list of big names who’ll be taking the stage at this year’s Billboard Music Awards keeps growing. 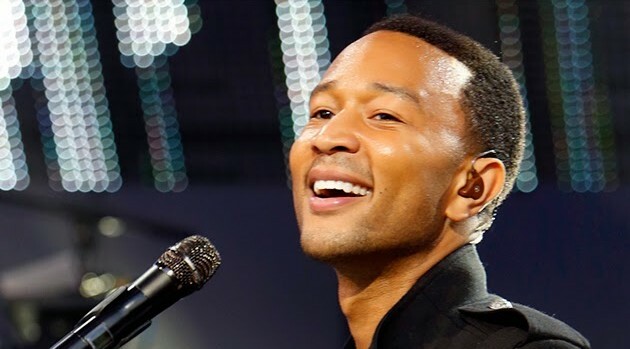 John Legend is among the new batch of entertainers slated to perform on the telecast, which airs May 17 on ABC. The crooner, who’s up for seven nominations, joins pop singers Kelly Clarkson, Ed Sheeran, and Meghan Trainor. Interestingly, John appears on both Meghan and Kelly’s current albums, so perhaps he’ll duet with both of them on the show. Other artists confirmed for the Billboard Music Awards are Wiz Khalifa, Sam Smith, Fall Out Boy, and Nick Jonas. The show will be hosted by Ludacris and John Legend’s wife, Chrissy Teigen.